Got a rotten deck? Dreaming of a brand new deck? We’re the experts in deck repair, deck installation and deck waterproofing throughout Richmond and Greater Vancouver, BC. 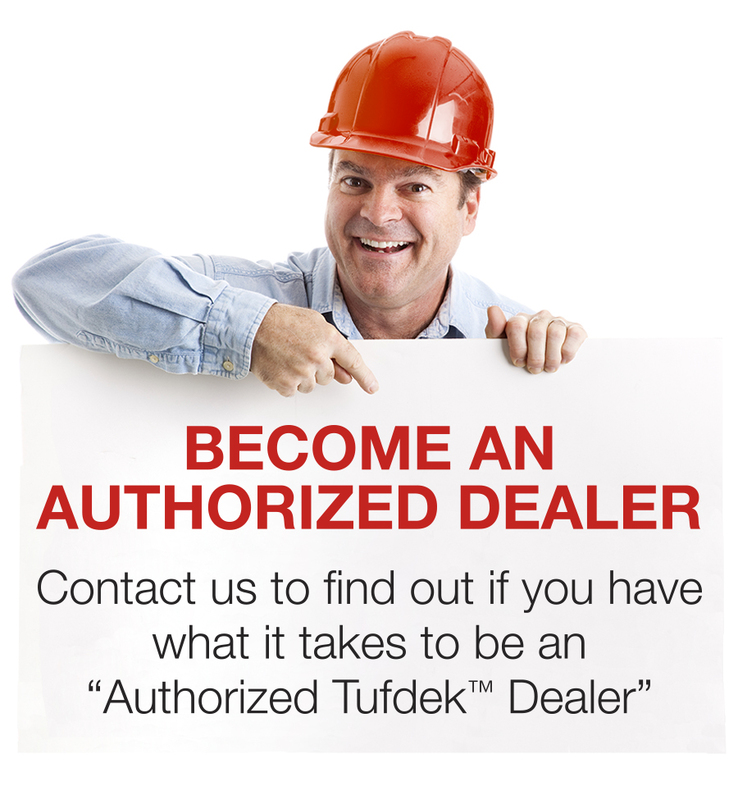 In addition to being a premium Vancouver deck builder, we are also an authorized Tufdek™ vinyl decking dealer. This is an excellent, highly recommended waterproof decking product that offers one of the longest warranties on the market. Rather than a roll-on coating, Tufdek™ is an actual waterproof vinyl membrane that, once thermally welded, becomes 100% waterproof. Tufdek vinyl decking is also a very attractive walking surface that comes in a variety of colors and patterns, including the newly popular wooden plank design. Some of Tufdek’s™ vinyl decking options feature Cool Step, which stays substantially cooler on hot summer days compared to traditional vinyl deck products, and can also help save energy and money when used over living spaces such as rooftop patios. Our installers have undergone extensive Tufdek™ factory training and incorporate proper decking details to ensure your sundeck or patio deck stays waterproof and attractive, with very minimal annual maintenance. Each member of our core management team brings between 15 and 27 years of experience in the roofing and decking industry and we service residential clients as well as strata and property management companies. All our deck contractors are professional carpenters and certified installers who also install deck railings. We are fully compliant with WCB and a member of the Better Business Bureau since 1992. Recently we were featured on the popular home renovation show “Love It or List It” on the W Network! Tufdek™ vinyl decking can be installed on almost all types of wooden and concrete decks, plus rooftop patios, pool decks, patio stairs, and more. For more information on how we can install the Tufdek™ waterproof vinyl decking product on your new deck, or to see color samples, please call our Tufdek office toll free at 1-877-860-9333 or complete the following online contact form.